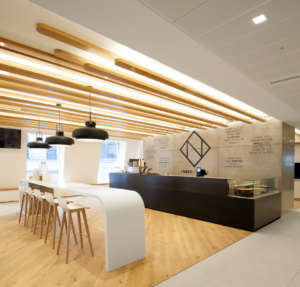 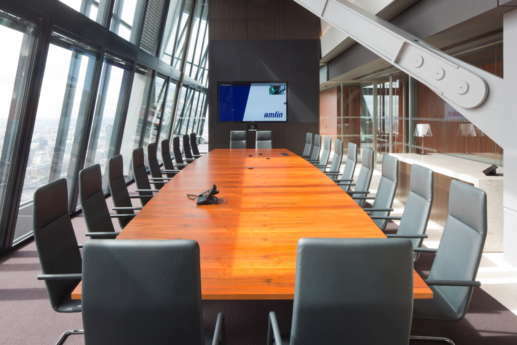 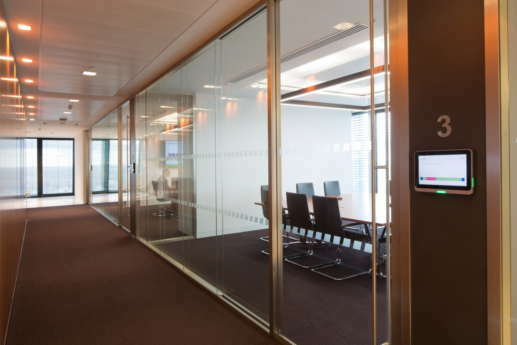 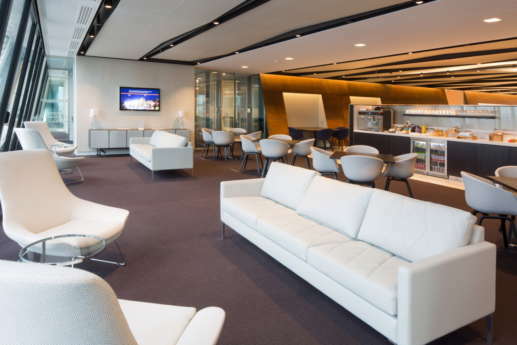 We delivered a modern fit out for this leading Insurer at the iconic Leadenhall building in Central London. 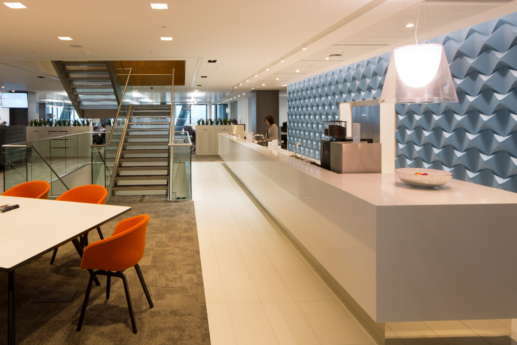 The office features the perfect blend of traditional corporate hospitality with a modern twist, with over 80% of the office dedicated to flexible working. 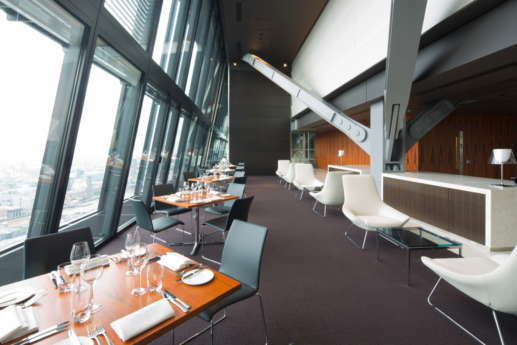 The fit out spans the 19-24th and 45th floors of this iconic London landmark. 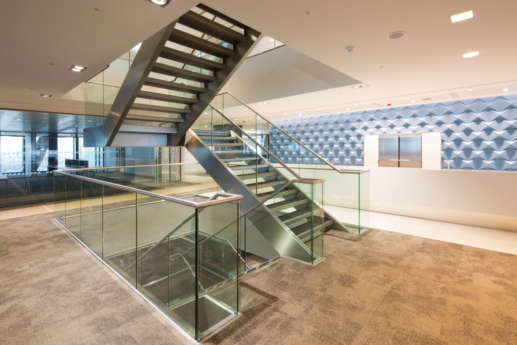 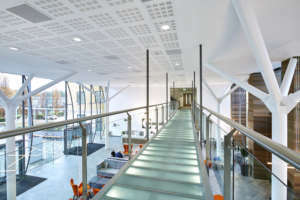 To help staff move about the office, a feature candeleavered staircase runs the from level 19 up to 24. 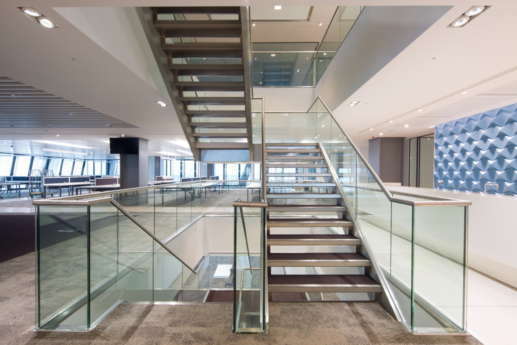 This stops staff from needing to wait for the lift to just move a couple of floors, also promoting extra movement and wellbeing throughout the day. 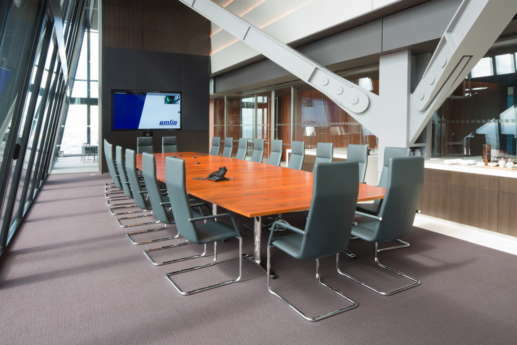 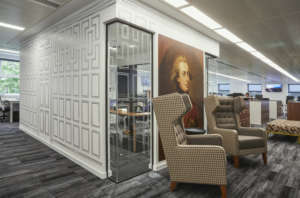 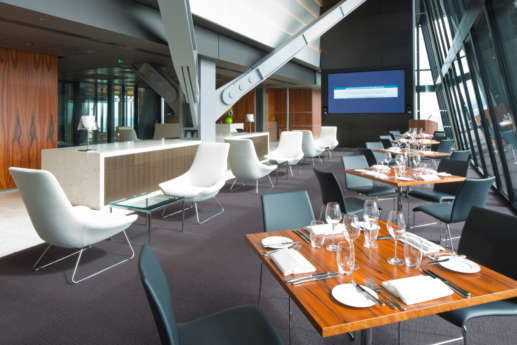 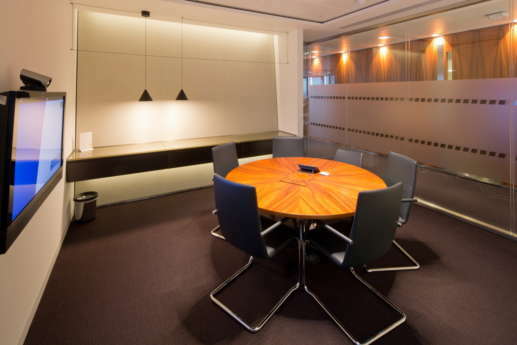 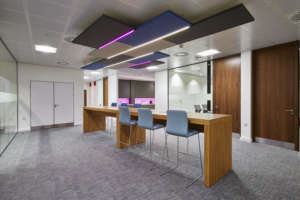 The top level of the fit out, on level 45 is Amlin's client entertainment precint and boardroom. This features a full restaurant-style dining area with sweeping views over the City, Thames and greater London. 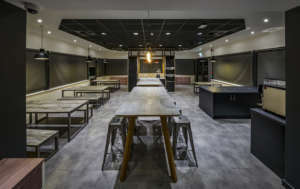 Here we were able to higlight the scale of the building with the double height ceilings and exposed structural beams, blending the industrial utility with modern design. 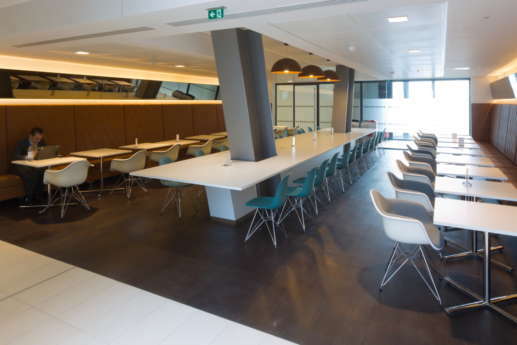 The new Cat B fit out is spread out over 95,000 sq ft on five levels in the iconic Leadenhall Building. 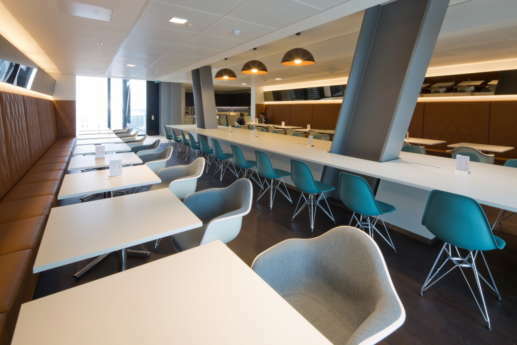 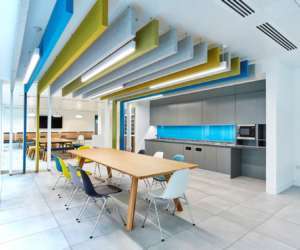 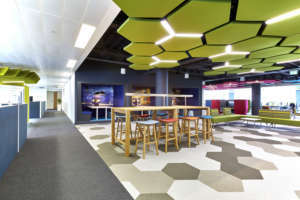 This allowed Amlin to consolidate almost 950 staff from other offices into the one new premises. 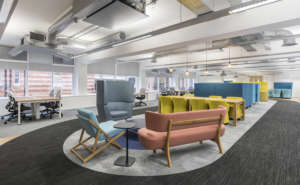 To support this, along with increased collaboration, 80% of desks were designated as hot desks to allow staff and teams to freely work from anywhere throughout the space.